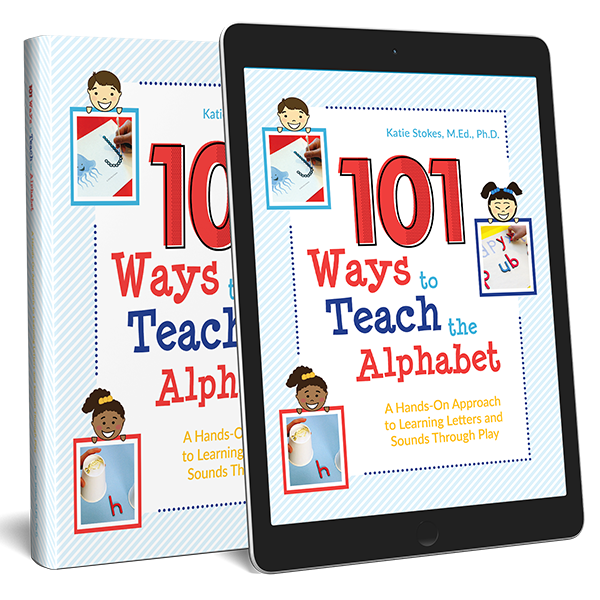 As part of our weather science unit, I wanted my kids to understand the various ways that we describe the weather. 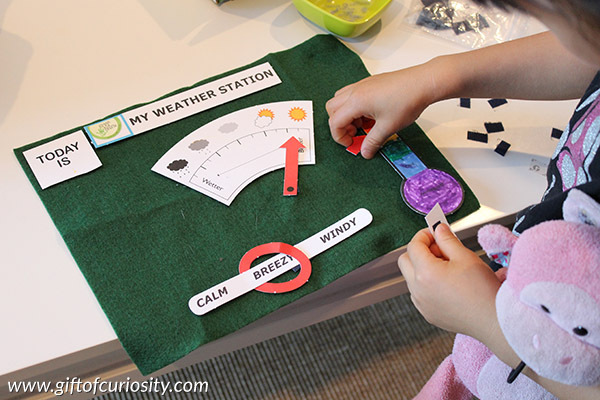 Building our own weather station was a perfect activity for stimulating interest in the weather and giving the kids hands-on practice with describing various aspects of the weather. Knowing what the weather will be can be very useful. 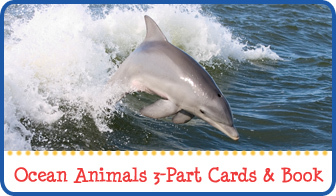 For example, knowing the temperature helps you decide if you need to bring a jacket or if you want to wear short sleeves. Knowing whether rain is expected helps you decide whether to pack an umbrella or not. 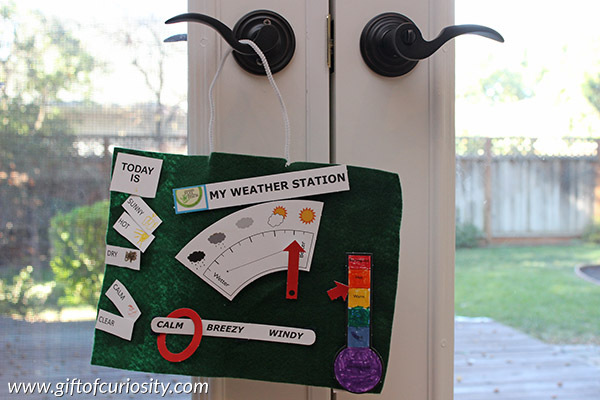 We built this DIY weather station using a kit I purchased from Green Kid Crafts. (This is not a sponsored post, as I purchased the kit with my own money.) 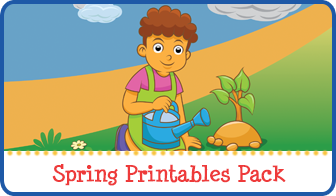 The kit included all the materials we needed to make our own, simple DIY weather station. We discussed the different facets of the weather as we built it, and then we tracked the weather on a daily basis once we had it built. 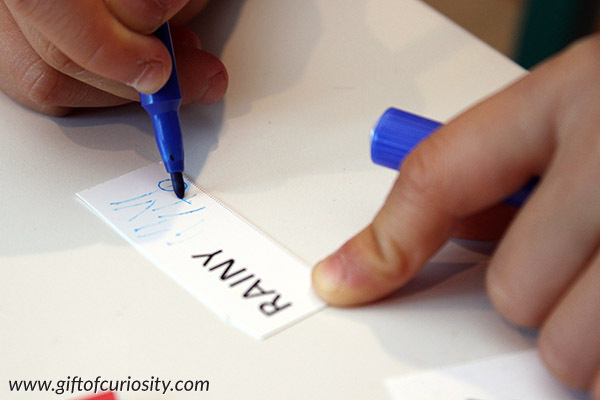 The kids started by drawing descriptions of the various weather conditions included in the kit, such as rainy, sunny, etc. 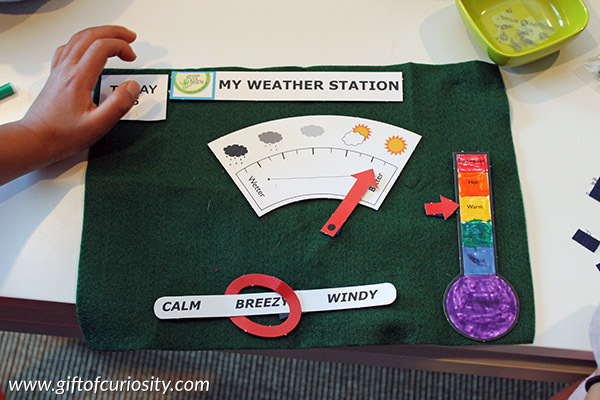 They then organized each part of the weather station onto a piece of felt. Our weather station included a general assessment of the weather in the middle, a temperature gauge along the right side, a wind conditions gauge along the bottom, and an open ended section on the left side for the kids to include any adjectives they felt described that day’s weather. We hung our DIY weather station by the back door off of our homeschool room. This made it easy to remember to update the weather report on a daily basis while we were engaged in our weather unit. 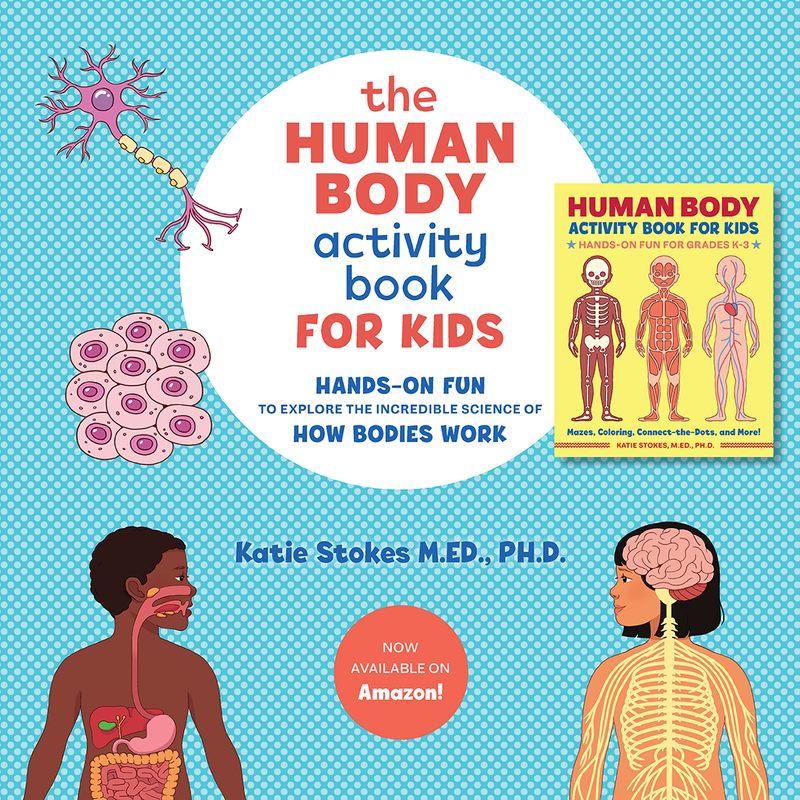 Nice projects for kids. 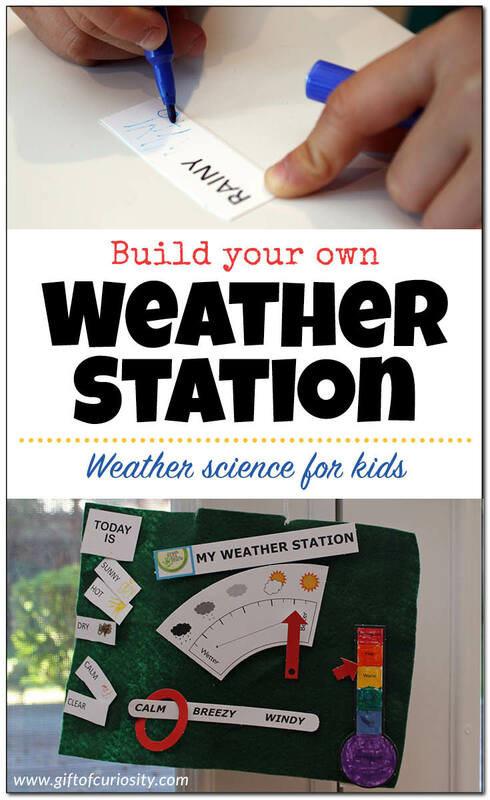 After seeing all of the images my kids eagerly waiting for making this weather station project. 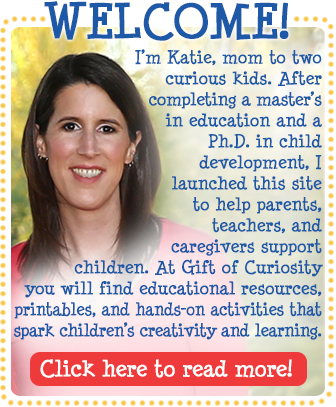 Thanks, Katie, for sharing such an awesome project.